Frogs are common throughout the world. There are over 85 species here in the United States. The most common species include treefrogs, toads and bullfrogs. Tree frogs and bullfrogs are most common where there is adequate water for their survival and reproduction. Toads are more prevalent where it is dry. Though treefrogs are considered beneficial because they eat insects, in some cases local populations can become a nuisance. Frogs can become a problem when they start nesting on the home and their droppings begin piling up on window sills, decks, patios and other areas around the home. Some species can make a lot of noise and many people are frightened of frogs much like people are frightened of snakes. To get rid of unwanted frogs, its generally smart to do some outside pest control. Since there is no such thing as a “frog bait” to control local populations, the best way to repel them and keep them away is to take away their food. For small areas, spray CYPERMETHRIN where the frogs are nesting. Cypermethrin will kill the insects frogs need to eat and once their the food supply is gone, the frogs will be forced to leave. Add 1 oz per gallon of water and use it to spray up to 1000 sq/ft of surface area. Cypermethrin can be applied with any standard PUMP SPRAYER and can safely be sprayed over plants, the ground and any ledges or window sills where the frogs might be nesting. For large landscapes, CYONARA RTS is more economical to apply since it covers large areas and comes with it’s own hose end sprayer. 1 Quart jug can cover up to 1/2 acre. Using any of the sprays listed above will help reduce local frog populations. But its usually not enough. So 1-2 days after spraying, applying some repellent granules and spray to get them to leave. PEST RID GRANULES are made with food grade actives which are concentrated and essentially alert the frogs to something not right about where the granules are present. Since these ingredients do not naturally. They work by and will stay away from where the product has been applied. Sprinkle it out on the ground where you don’t want to see frogs. Treatments will last a month or more and it’s safe for use around the home, ponds and the garden. A 2 lb jug will cover up to 500 sq/ft and it should be used first as the “base” before spraying with the liquid version. Basically the granules will absorb the spray enabling the treatment to last 4 weeks or more. PEST RID SPRAY is essentially the same material as the granules but in liquid form and more concentrated. Use it over the granules and where granules can’t be applied like window ledges, bushes, trees, etc. The quart will cover up to 125 sq/ft and comes with its own trigger sprayer top. The gallon jug covers up to 500 sq/ft and needs a good PUMP SPRAYER to get it applied. Retreat monthly to keep frogs away for good. How do I control frogs at home? I have a serious phobia of frogs and the apartment I just moved to has them around the walk ways. I have a fear of leaving my house and run kicking and screaming when I see one. I need a repellent that will keep them away!!! Go with the Pest Rid Granules and Spray. First, apply the granules where you don’t want the frogs to be. Next, spray over the top wit the Spray. Most treatments will last a month or more. Does this product really chase frogs away? I do not have a pond but have a frog that is driving me crazy! Outside my bedroom .. I have cleared all moisture retaining things but he is still there! And noisy! I have never seen him.. cannot find him .. he moves along the house from time to time.. I want this pest GONE! before I get more! I have lots of mature rhododendron plants all along the house but they are well trimmed..but I don’t want to use something which would kill them! Pest Rid will definitely chase away this annoying frog and it’s perfectly safe to apply to use on the home and any plants. That means if you think he’s in the rhododendron, you can spray it without undue hazard. I also suggest you apply the granules around the home first. 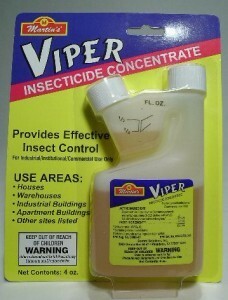 Next, spray the ground, the house siding and any plants you thing he might be using for shelter. This “1-2” punch should insure you’ll have his hiding place covered.